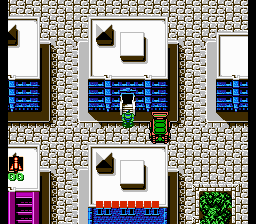 After featuring two disappointing, same-as-final “prototypes” of the first Teenage Mutant Ninja Turtles (one reportedly from Nintendo Power and another from the now-closed Miami offices of Rare Coin-It), you would think I would have given up my search and gone on a no-carb diet by now. 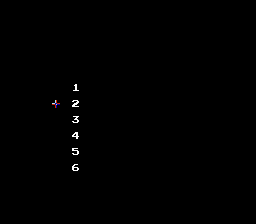 Luckily, I did not, and I am as bloated as ever, otherwise I would have never stumbled upon one fairly unique Family Computer development cartridge. 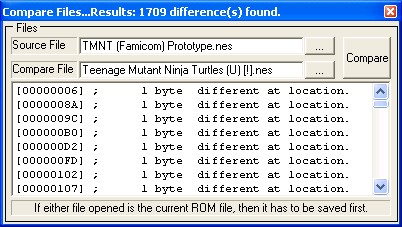 Despite the Family Computer case, this prototype does not contain the Japanese version of Teenage Mutant Ninja Turtles, but rather the U.S. game. 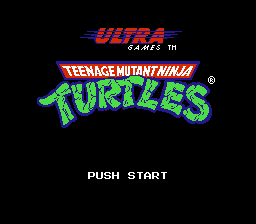 The story goes that Konami/Ultra Games used to internally develop all of its U.S. Nintendo Entertainment System games in-house on Japanese hardware, which would explain why an English version of Teenage Mutant Ninja Turtles is found in such a cartridge. 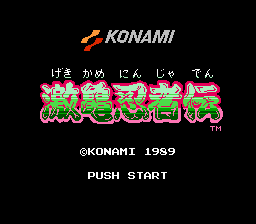 If you were not already aware, this game was released on the Family Computer under the name Gekikame Ninja Den. 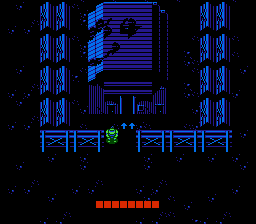 The first officially-named Ninja Turtles video game in Japan was actually Teenage Mutant Ninja Turtles II: The Arcade Game, which was simply called Teenage Mutant Ninja Turtles. Konami started counting up from there. 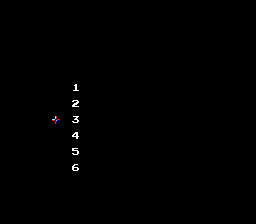 As for how this development copy came to me, reportedly employees from Konami/Ultra Games in Elk Grove, Illinois used to exchange prototypes with the folks at nearby Sunsoft in Wood Dale, Illinois (the two companies were about 20 miles apart from each other in the suburbs outside of Chicago). 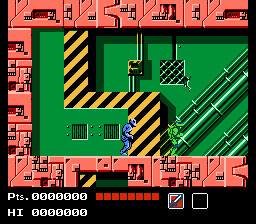 A former Sunsoft employee obtained this Teenage Mutant Ninja Turtles Family Computer prototype as well as a Super Family Computer cartridge of Contra III: Alien Wars, which was dated five months before the Japanese release back when it was still being called “Super Contra IV” (at one time, Konami counted Contra Force for the Nintendo Entertainment System as the third entry in the action game series). If all of this sounds convoluted, you’re right–it is. 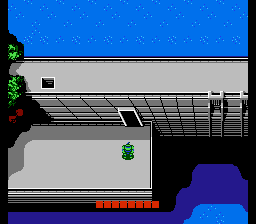 However, I was able to verify the credentials of this former Sunsoft employee, and after personally speaking with him at length, I fully believe the prototype’s provenance more than checks out. 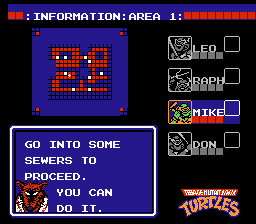 As for the data on this prototype, it was a challenging task to check for differences, seeing as how randomized enemies inhabit many of the game’s locales, but I persevered and compared every last room, sewer, and pizza slice with the U.S. retail version (as well as each game’s text and tile graphics). When all was said and done, I really only found one significant change. 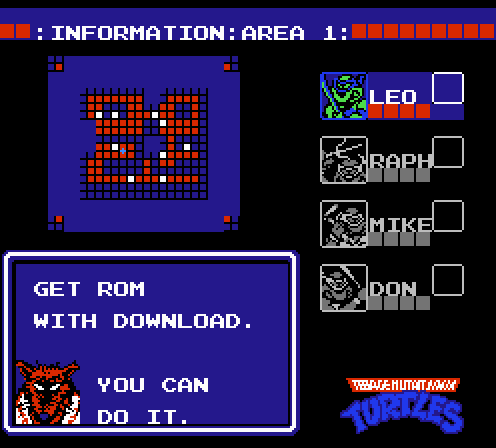 Did you grow up thinking that Teenage Mutant Ninja Turtles was too hard? 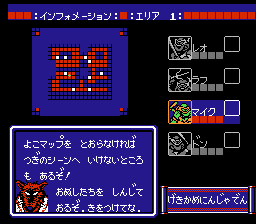 (Do you still think that Teenage Mutant Ninja Turtles is too hard?) 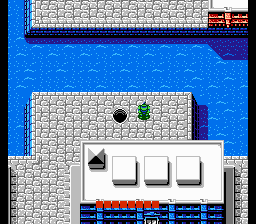 Well, how does level select sound to you! 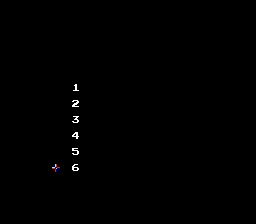 If you hold down A when you press Start at the title screen, you are taken to a special numbered list menu not seen in any retail version. Each number represents a level. 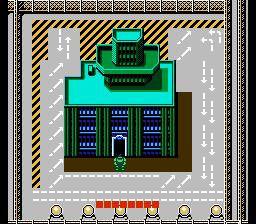 That means, if you select “6,” you are transported immediately inside of the Technodrome with all of your Turtles and continues fully intact. Those flying laser-men be damned! If only I had this cartridge back in the day; so many temper tantrums, so much of my childhood lost to time-outs. Lousy time-outs. 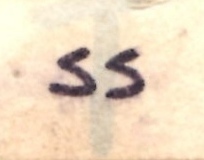 The “SS” written on the front of the cartridge might have stood for stage select. 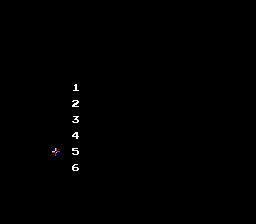 Secrets may still remain hidden in the prototype’s game code, just waiting to be unlocked. Why else would Windhex recognize 1,709 differences? 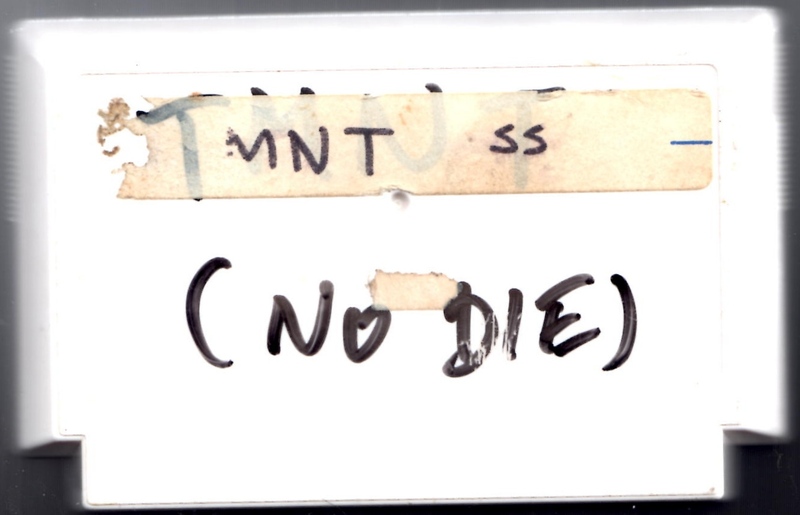 And although the cartridge clearly states “No Die,” I could not find any way to enable such a mode in the game. 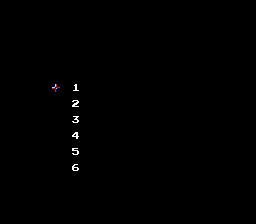 The aforementioned former Sunsoft employee had also tried to get the cheat to work in the past, and he could not figure it out, either. 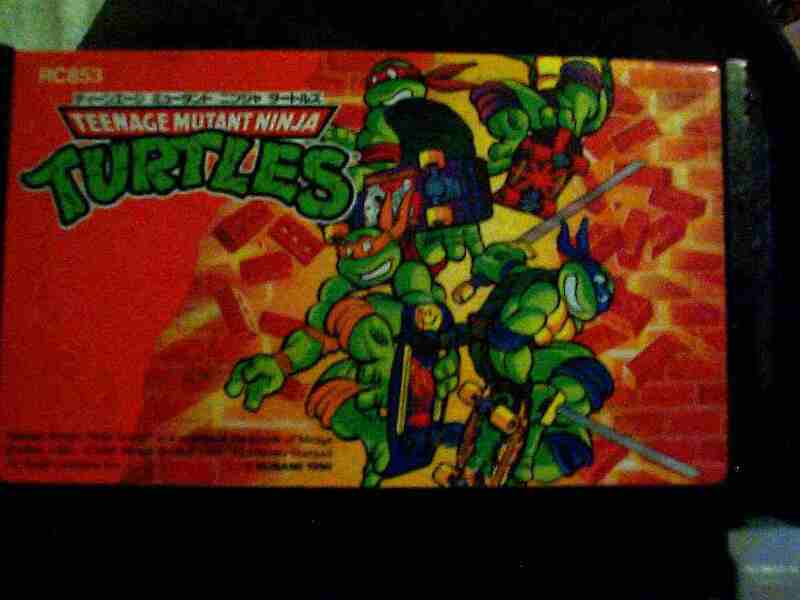 I have been searching years and years for a true prototype of Teenage Mutant Ninja Turtles. The title holds a special place in my heart for being one of my first video game experiences. 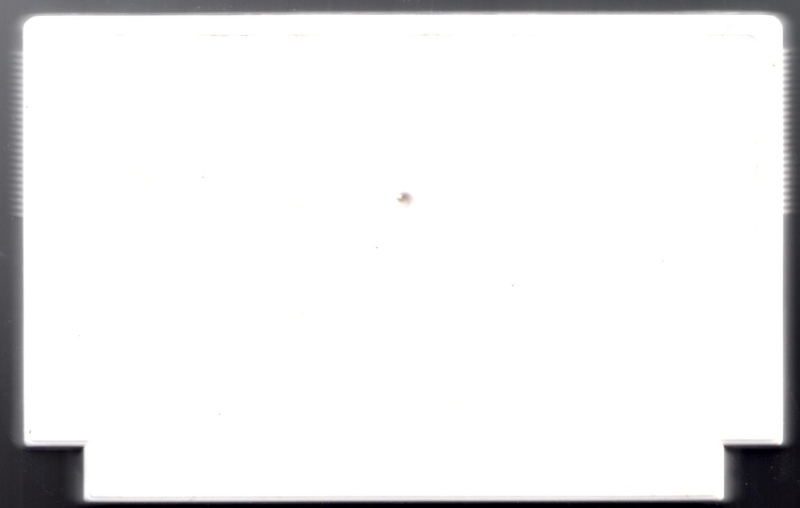 Now that I have the cartridge, it’s honestly a bit of an anticlimactic end to my cheesy hunt. 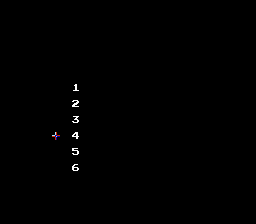 Level select is neat and all, but I expected to see some more developmental aspects from this “development” cartridge. Let’s hope the Sunsoft guys didn’t give up anything too important for this one, or at the very least got some Chicago-style deep dish pizza out of the deal.